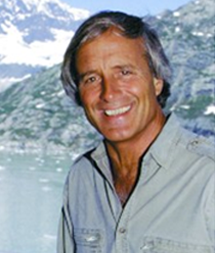 Jack Hanna is the Director Emeritus of the Columbus Zoo and Aquarium. He was Director of the zoo from 1978 to 1993 and is viewed as largely responsible for elevating its quality and reputation. His media appearances have made him one of the best known and well liked animal experts in the United States. Hanna, nicknamed “Jungle Jack”, is instantly recognizable by his khaki safari outfit, deep tan and shaggy hair. Up on his father’s farm outside Knoxville and volunteered for a veterinarian when he was 12. He majored in business and political science at Muskingum College in New Concord, Ohio, where he got in trouble for keeping ducks in his dorm room and a donkey in a shed behind his fraternity house (The M.A.C.E. Club). His senior year, Hanna married Suzi, a cheerleader at Muskingum, and he graduated in 1969. Though unable to secure zoning as a zoo for his father’s farm, the two opened a pet shop and petting zoo. He then worked for a wildlife adventure company and directed the small Central Florida Zoo from 1973 to 1975. In 1978 when Hanna became the director of the Columbus Zoo, the grounds of the zoo were unkempt and the facilities rundown. Hanna initially struck many as a “zealous” zoo director, often traveling around the zoo grounds after closing to personally pick up trash. He also realized the importance of increasing the profile of the Columbus Zoo in central Ohio to garner more public support and funding, and the everyman-seeming Hanna proved to be very well suited to public relations for the zoo. From 1981 until 1983, Hanna hosted a television show called Hanna’s Ark that aired on the local CBS affiliate in Columbus, WBNS. Hanna’s live animal demonstrations on Good Morning America and both of David Letterman’s talk show incarnations brought national attention to the Columbus Zoo as well as to Hanna himself. Over the course of Hanna’s tenure as director, the zoo made the transition from cage-like enclosures to habitat-replicated environments and the grounds were significantly expanded. The annual attendance of the Columbus Zoo increased by over 400% during this time.Jack Hanna, who serves on the Board of Directors of the Busch Conservation Fund and is active in many other charitable conservation organizations, is a regular guest on many popular TV shows such as The Tonight Show with David Letterman, Larry King Live, Ellen DeGeneres, and the Maury Povich Show.